NEW YORK, NY / ACCESSWIRE / September 14, 2018 / On September 15th, 2018, South Korea's first grand opening of the PLUS TOKEN Global Launch Ceremony was held at the Landing Shinhwa World Hotels on Jeju Island, South Korea. The conference is sponsored by the global block chain alliance "WBF,'' and the PLUS TOKEN foundation of the United States is naming this event. 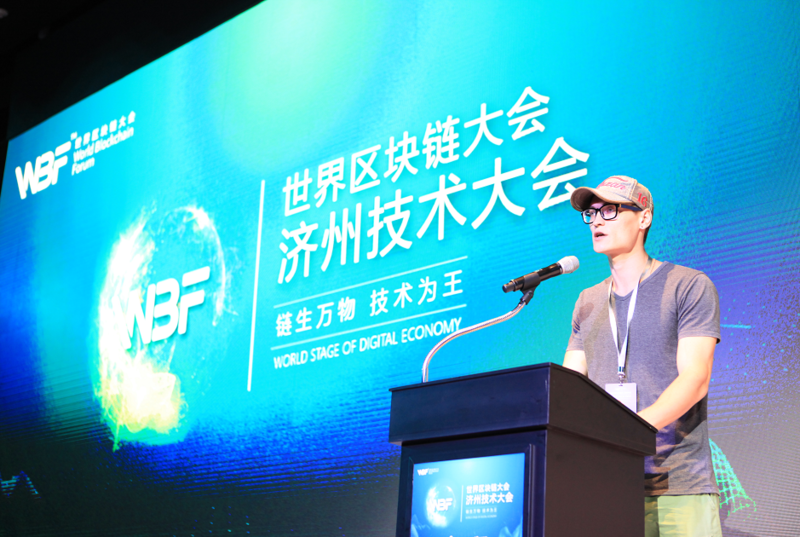 Participants included Zhou Jie, founder of Yu'ebao, Shi Yanqiang, founder of Blockchain Technology, An Xinxin, partner of Gold Finance, Zhao Sheng, sponsor of WBF New York World Block Chain Conference, and Yang Linke, founder of Bitcoin in China. Moreover, representatives and members from more than 20 community representatives of PLUS TOKEN witnessed the event together. PLUS TOKEN has successfully applied for a Singapore fund licence. Other countries' bank and fund digital currency licences are also in the process of application. PLUS TOKEN became the world's top three digital asset wallet in less than five months. The users of PLUS TOKEN are in more than 30 countries all over the world. Any success in the world is no accident. The achievements of PLUS TOKEN are mainly due to the early experience of the core members of PLUS TOKEN team in Samsung, the international team and experience. This enabled PLUS TOKEN to lay out and defend from the point of view of product experience, technical fluency and data security from the beginning. At the same time, in the process of market promotion and product popularization, many early communities were Samsung's business partners which ensured that the market could develop rapidly and win trust in many countries and regions. After the speech, LEO signed an investment cooperation agreement with zhao sheng of Silicon Valley Venture Fund, lldar of Dows Fund and Yi Dao. In this investment, PLUS TOKEN's appraisement achieves $5 billion, both from the digital currency market value and corporate valuation, which is in the forefront of the global digital money market. In addition to LEO's occasional speech on stage, Kim Jong-un, the normally low-key south Korean co-founder, stepped up to the stage for a brief communication, as well as met with representatives from all over the country and took photos. The communities that participated in the meeting included: High Sea Club, Sky Foundation, Seoul Community, Shengshi Alliance Community, Moscow Community, Siam Foundation, LT Foundation, Running Alliance, Whampoa Community, Kawasaki Alliance, No. 1 Community, Block Got Talent and other representatives from more than 20 countries. The act of community representatives appear on the stage successfully demonstrates PLUS TOKEN's achievements, global operational capabilities and experience, and fully reflects PLUS TOKEN's unparalleled strength in the current global digital Money Wallet field. Such a platform, which is heavily favored by capital and the market, is naturally also supported by many authorities in the industry. So during the launch ceremony of PLUS TOKEN in Jeju Island, South Korea, founder of WBF, Zhao Sheng, founder of Silicon Valley Venture Fund, Xu Gang, Assistant Director-General of World Block Chain Organization (WBO), Brother Dao, founder of Bikuaibao, Sister Mi, founder of Meijer Community, Yuan Zhengzhong, founder of Yidao Fund, and Mr. Meng, founder of Liaotong Science and Technology jointly participated and witness. PLUSTOKE global kick off ceremony, Jeju Island, Korea! As the title said, we set sail. Now that we have sailed, we will brave the wind and waves and create brilliance.